The novelist’s remarks has led to a lot of debate on social media about the appropriateness of her views, considering the fact that a good number of would-be mothers have embraced the trend of posting pictures of bulging bare bellies on social media as a way of announcing they are expectant mothers. While some support her notion that pregnancy is a sacred state and should be treated with some level of discreetness, others hold a completely different view. To them, the process of bringing a newborn into the world is an exciting prospect for the parents-to-be and should be celebrated anyway they deem fit. And if a pregnant woman chooses to post pictures of her bare stomach in a bid to share her joy with her thousands of Instagram followers, then nobody should begrudge or criticize her for that. First of all, Chimamanda Adichie is one woman I deeply admire. I have met her once. Briefly. And I genuinely love that she is intelligent, articulate and self-assured. Those are qualities that cannot be taken from her, and are quite frankly not easy to find in a single person. As a writer, what she has been able to achieve with her works both on and off the pages of books cannot be downplayed, and is inspiring to me as a person. I also like that she has done her best to keep her private life away from the prying eyes of the camera and an inquisitive public. It’s the best way to live, especially when you are a celebrity or public figure. The news that she had recently become a mother came as a surprise to many because she did a good job of shielding herself from the public eye during that period. I must also make it clear that while I see Ms Adichie as an inspiration in many ways and keenly follow her works, I do not agree with all her views on various issues. Nobody should take what anybody says hook, line and sinker. No one should be a gullible or naive follower. We all have the ability to reason for ourselves and regardless of how much we look up to a person or respect them, we may not always agree with them hundred percent in everything. On this subject however, I am certainly leaning more towards the writer’s views, but in a different way. I do not find the term “baby bump” irritating, but I do find the trend of jumping on any bandwagon at all (including the “baby bump” display trend) without giving a second thought disturbing. One of the biggest problems I have with this generation is our bandwagon mentality. Nowadays, everyone just copies what the next person is doing without considering how it may affect them as an individual or the peculiarity of their circumstance. These days, we have people who can hardly eat dinner without posting a picture of their meal on Facebook. When they quarrel with their spouse everybody knows. The general public have their personal information at their fingertips, when they fart or go for an ice-cream the social media community must be aware, they post pictures of their children’s school and where and when the entire family goes on vacation. Never for once do they consider the security implications of exposing their entire life to total strangers – yes, the people you have never met physically, but are your friends on social media are still technically strangers to you, just in case you never thought of it that way. I don’t know about you, but there’s something that doesn’t just sit well with me about sharing every little detail of my life, and this is why I can relate with Chimamanda on this matter. Personally, I don’t have a problem with anyone posting pictures of their “baby bump” as long as they aren’t just doing it because everyone else is doing it. And yes, even if they are embracing the trend on a whim, it’s still their decision. 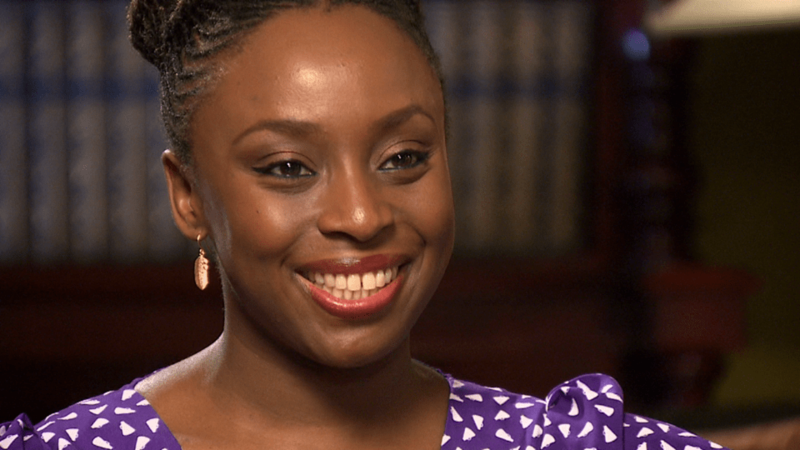 It should hardly bother the next person, in much the same way as Chimamanda’s personal opinion shouldn’t make anyone lose sleep, for it is what it is – her personal viewpoint. People have varying personalities; some are naturally more extroverted than others and are therefore more comfortable with some things a more introverted person would consider a taboo. I dislike the word “Bae” I think it’s silly. But, that’s just my own prejudice to the word. I have no issues when others use it. One of the hallmarks of maturity is the ability to respect the opinion of others without thinking of it as a slight to our person. When one disagrees with popular opinion for example, there’s a tendency to believe that such a one is only being arrogant or think of themselves as better than everybody else. But, it’s not necessarily so. On the contrary, it takes no small measure of guts to be different…to think differently. Why should I want to be like everyone else when it’s obvious that I am different. In a world where everyone is doing the same thing, jumping on the next trend that seems exciting, singing the same songs that have little meaning, writing the same recycled gossip, the ones who dare to be different and are not ashamed of their chosen path are the interesting ones. Every other person is just, well…ordinary. PreviousPrevious post:Five Heroes Of The Rio OlympicsNextNext post:Eat. Breathe. Love. Hello B? Thanks for letting me know you don’t like the term bae, I for don offend. It’s ok, different strokes for different folks, as long as it’s not anything criminal. I think it’s good to be a little discreet sha, especially to forestall chances of personal/security information from falling into wrong hands. I watched a very short video recently about how easily one could fall into the trap of “Doing what everyone else seems to be doing”, without having a detailed knowledge of “WHY?”. Honestly, I wished everyone watched that video and made the necessary adjustments so we all could live a meaningful and ORIGINAL life without “COPYING” anyone/following a particular trend. I’d appreciate if you can send me the link to the video. Honestly, we need more original thinkers around. Thanks Semmie. Lol! I don’t think “Plix” “Yelz” and co are in the category of “Bae”. The former were just created for fun, and are not as widely used as Bae. Anyway, like I mentioned, it’s a personal thing for me. It’s not that serious. Thanks Kunle.